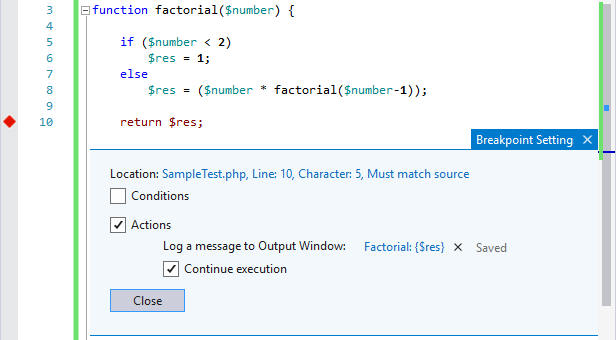 Check out the latest update of PHP Tools for Visual Studio which brings powerful debugging features and enhancements. Find more in our Advanced Debugging Tips article on https://blog.devsense.com/2017/7/advanced-debug. We have received request for this feature numerous times and we are happy to announce it is finally here. Thanks to DBGp proxy support multiple developers can debug simultaneously on one machine. With the new update you are not only limited to PHPUnit which comes bundled with PHP Tools for Visual Studio. You can use any supported phpunit version you want, including latest versions which are now supported as well. 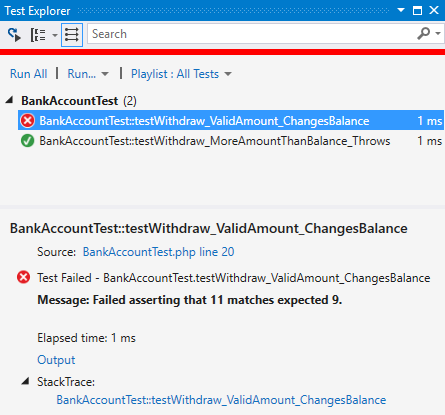 Find more about PHP unit testing in Visual Studio on https://blog.devsense.com/2017/6/unit-testing.